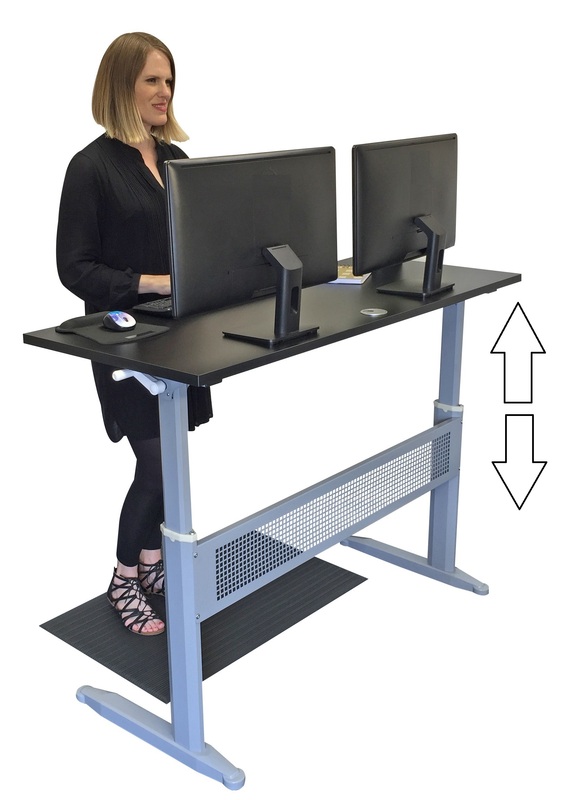 Stand Steady, a leading manufacturer of standing desks, has announced the addition of a full-size standing desk, the Transcendesk Standing Desk, to their ergonomic office product line. “It’s crucial for today’s knowledge workers to have an ergonomic work space where they are able to work at their correct sitting and standing height, such as the Transcendesk," said Stand Steady CEO Day Martin. Stand Steady today announced the launch of their first full-size sit-to-stand standing desk, the Transcendesk Standing Desk. 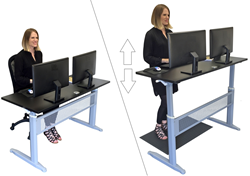 With a Transcendesk, today’s office worker will be able to change from sitting to standing and back again by simply cranking the desk up or down to the desired height. For facilities departments who require WOSB vendors, the Transcendesk is now for sale on Amazon for under $500.00 by Stand Steady, which is a certified Woman-Owned Small Business. 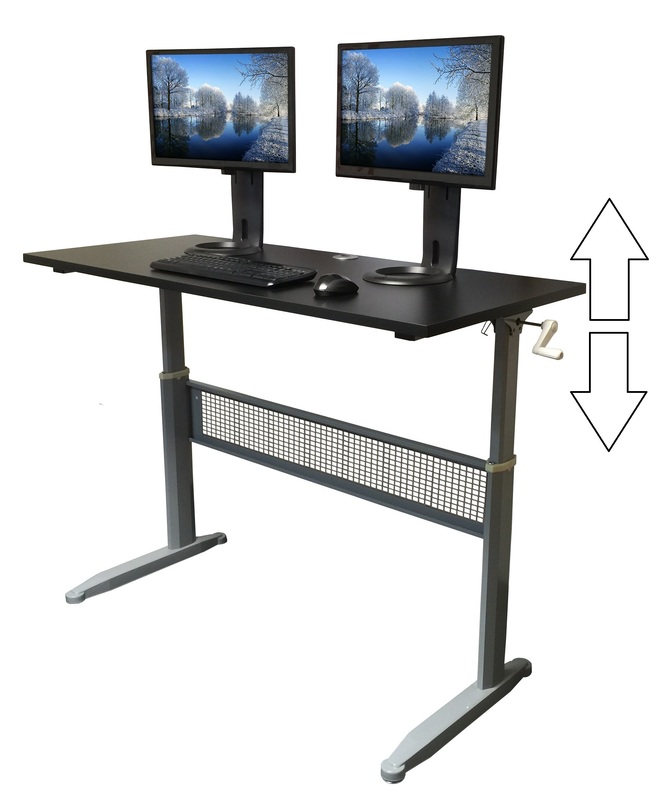 Stand Steady is an established brand in the stand up desk playing field, and well known for their best-selling desktop standing desk, the X-ELITE PRO, which incorporates a pump-assisted lift. Since Summer of 2013, Stand Steady has tens of thousands of standing desks, and has designed many affordable, innovative and healthy standing desk solutions. The Transcendesk uses a crank to lower and raise the desk, ships in one box, and requires some assembly. The desktop surface is 55 inches by 23.5 inches, and elevates in height from 29 inches to 46 inches. The black top is made of melamine coated particle board, and the legs are metal. The desk can hold up to 85 pounds. Stand Steady is located in the greater Washington, DC area and is a leading manufacturer of affordable, ergonomic, height-adjustable standing desks. Stand Steady has sold thousands of desks nationally and internationally. Standing at work provides a solution to the negative impacts of sitting all day, such as back pain and increased rates of cardiovascular disease and diabetes. Stand Steady is a Certified WOSB (Woman Owned Small Business). For more information about Stand Steady, visit http://standsteady.com/. Stand Steady Transcendesk Standing DeskStand Steady has a new full size standing Desk, the Transcendesk Transcendesk Standing Desk by Stand SteadyThe Transcendesk Standing Desk by Stand Steady is now available to purchase on Amazon.